Below average ride on a headless horse | Steer Forth! Picture taken at Unterlinden Museum in Colmar, Alsace. Posted for Average at Photo Hunt. 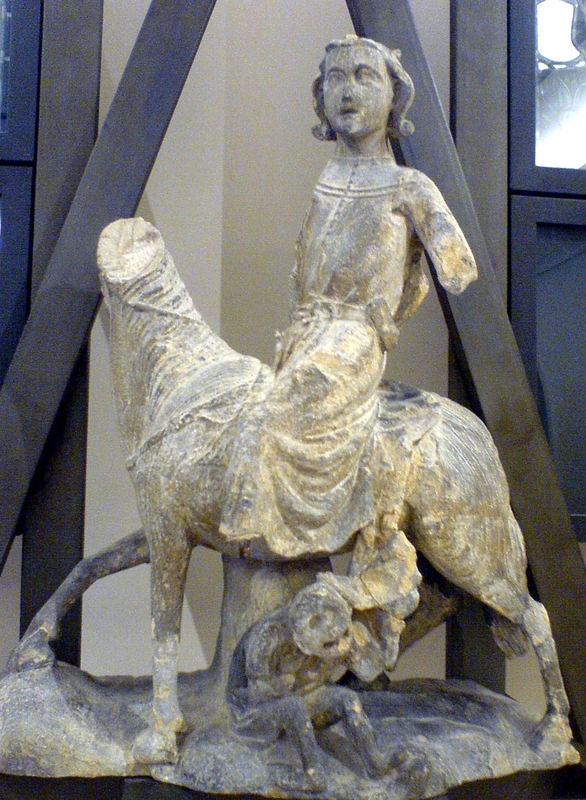 This medieval ride cannot possibly have been very comfortable – also in view of the rider’s missing arms. This entry was posted in Art, Bland observations, Fun, Photography, Time. Bookmark the permalink. Oh wow this is my first time to see this one. Like it! That is definitely not an average piece of art. I really enjoyed your very above average take on this difficult theme.